Barbara Tewksbury is professor of geosciences at Hamilton College , where she holds the William R. Kenan, Jr. Chair. She has spoken widely and published on geoscience education issues and has played a leadership role in the national geoscience education community for many years. As a distinguished speaker for the National Association of Geoscience Teachers (NAGT) for seven years, she gave dozens of workshops to faculty in departments across the country. She has been co-PI on a number of grants to offer workshops for geoscience faculty, including the NAGT/DLESE Cutting Edge Workshops for Geoscience Faculty NAGT workshops on Innovative and Effective Teaching in the Geosciences. She is a past President of the American Geological Institute, a past President of the National Association of Geoscience Teachers, and served as President of the Geology Division of the Council on Undergraduate Research for three years. She was a member of the NSF National Visiting Committee for the Massachusetts Collaborative for Excellence in Teacher Preparation. In 1994, she received NSF funding to develop an interdisciplinary course entitled The Geology and Development of Modern Africa , which was one of the courses selected in 2002 to be a SENCER model course. 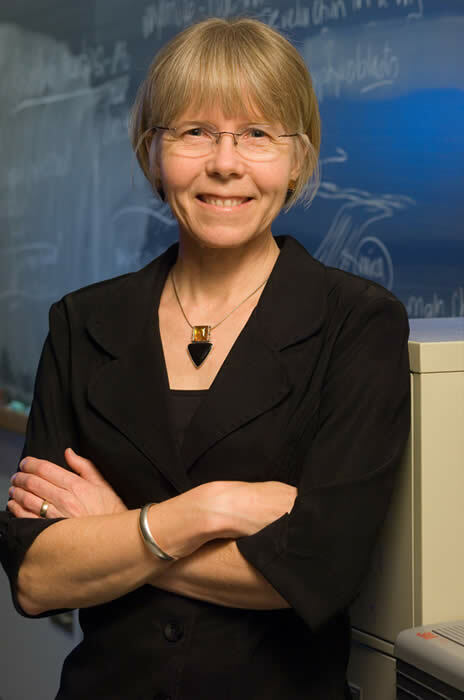 She was named CASE New York State Professor of the Year in 1997 by the Carnegie Foundation for the Advancement of Teaching, and she is the 2004 recipient of NAGT’s Neil Miner Award for exceptional contributions to the stimulation of interest in the earth sciences. In 2006, she received an honorary doctor of science degree from St. Lawrence University in recognition of her work in geoscience education. A frequent presenter at SENCER Summer Institutes on her model course and course design strategies.